UC San Diego biology and bioengineering professor Jeff Hasty and lab member Robert Cooper have come up with a model for predicting the conditions under which antibiotic resistance spreads in a clinically relevant bacterium. The spread of antibiotic resistance among pathogenic bacteria is a major public health concern. Among the top three most dangerous are Acinetobacter species, which thrive in hospital settings and acquire antibiotic resistance genes surprisingly quickly. 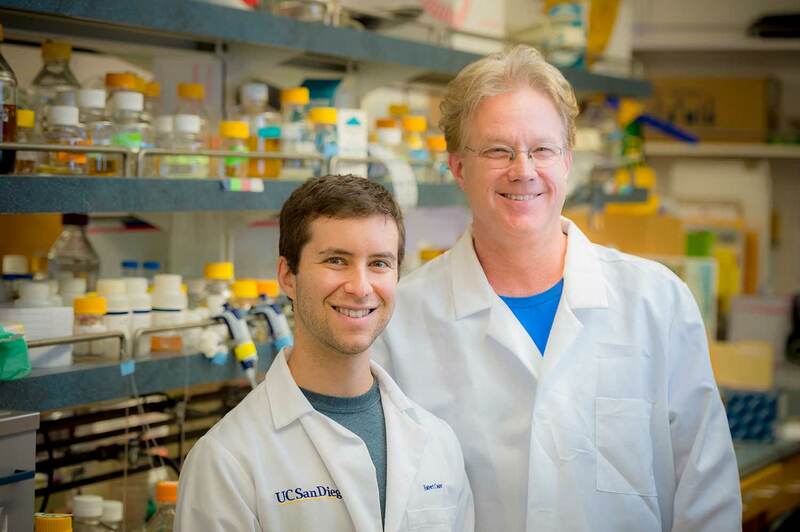 “Most of the threat posed by Acinetobacter stems from its ability to acquire drug resistance via horizontal gene transfer (HGT),” said Jeff Hasty, professor of biology and bioengineering at UC San Diego and principal investigator on the paper. HGT is the process by which bacteria exchange genetic material. Acinetobacter species do this at a remarkably high rate, which makes them particularly good at becoming resistant to antibiotics. Until now, HGT has not been directly observed in Acinetobacter species—and it was observed by accident. When Robert Cooper joined the Hasty lab as a postdoctoral researcher, he was interested in using algae and bacteria to make biofuels. Intrigued, Cooper acquired some “predator” bacteria and placed them next to “prey” E. coli cells. He gave the predators a red and the prey a green fluorescent protein so that he could tell them apart in live-action movies. The “predator” bacteria did kill the E. coli as expected—but they also started glowing green! The cells in this video are growing inside a microfluidic chip—a microscopic chamber with a channel beneath it to supply fresh nutrients and wash away excess cells. Each oval is a single bacterial cell. This marked the beginning of a journey for Cooper. He attached the green fluorescent protein to an antibiotic resistance gene and observed that the when Acinetobacter killed neighboring E. coli cells, those that acquired the green gene also took up and incorporated the antibiotic resistance gene (see video). Those cells were then able to propagate, creating a colony of drug-resistant Acinetobacter. Cooper went on to establish a model for predicting the number of “prey” cells that would be killed, and how many “predator” cells would acquire the antibiotic resistance gene by HGT, under different conditions. This work was supported in part by a postdoctoral fellowship from the Hartwell Foundation and by the San Diego Center for Systems Biology.